Fancy taking a chance with our domino-design sweatshirt? 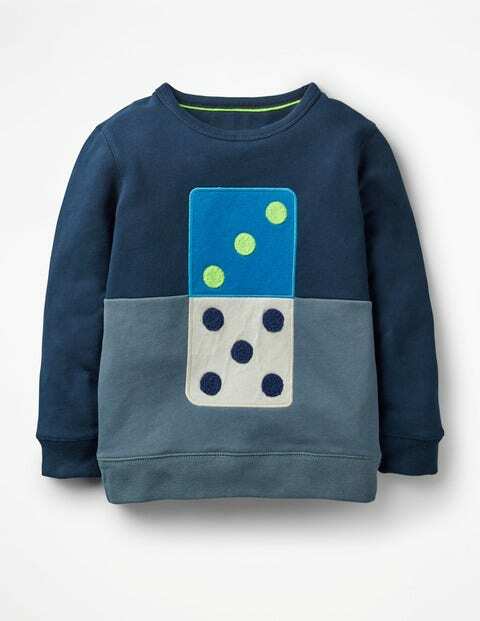 It's a sure bet – appliqué and bouclé detailing make this a real winner at playtime, while the 100% cotton fabric and relaxed fit mean it's perfect for layering when there's a chill in the air. Looks like it's a lucky day.